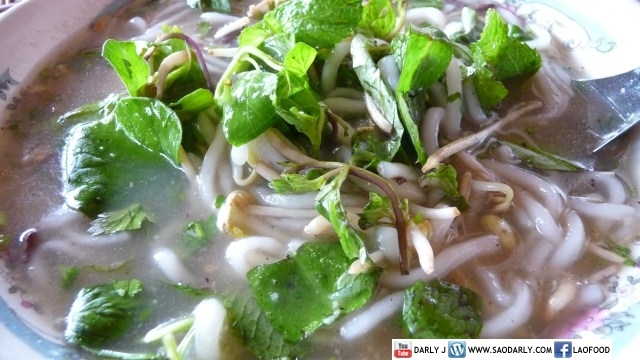 Homemade Khao Piak Sen or Lao Rice Noodle Soup made by my aunt in Champassak, Laos. It was a big pot, enough to feed three families living near one another. That’s how it is in Laos, when one family is making something good to eat, sharing with other relatives is how it has always been and hopefully will be. 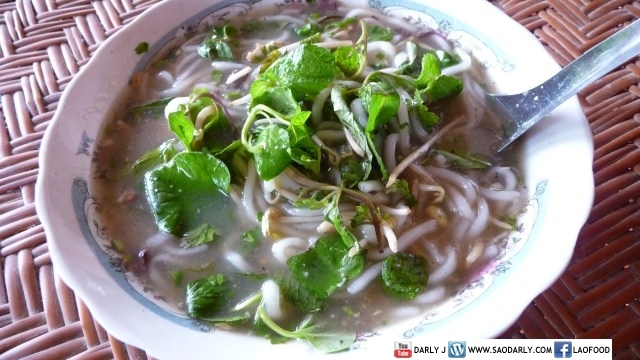 I ate a bowl of Khao Piak Sen with herbs and vegetables that usually on a table when serving Feu noodle soup. 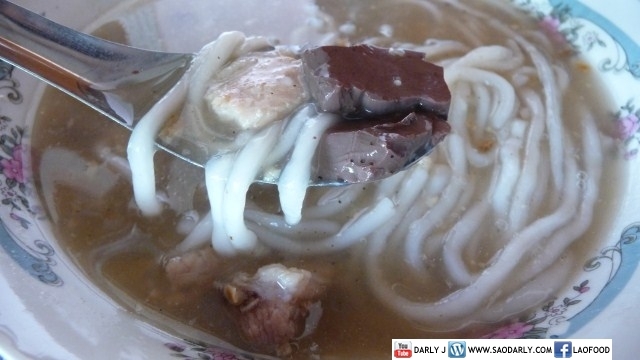 My cousins were dipping chili peppers and string beans in Kapi (shrimp paste) but I ate the noodle soup just the way it is, simple and plain but delicious enough. I don’t know how to make the noodles. 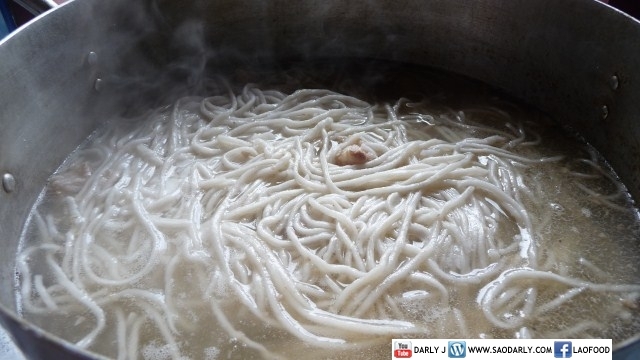 My aunt bought the noodles at a market since it’s available cheaply and it saves time rather than making it herself. 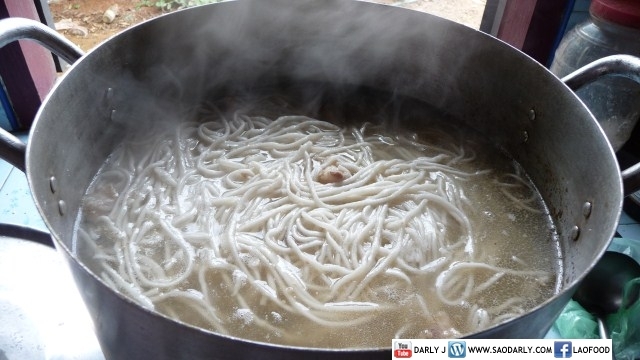 Khao piak sen noodle recipe 1 bag of rice flour, 1 bag and a half of tapioca flour. 6 cups of hot water. Combine both flours well. Pour hot water a little bit at a time until you get a play dough consistency. Nead the dough when its cool enough for you to handle. Pinch off a ball and roll it out and then cut into strips or you can use a pasta machine. Cover dough with a moist towel if it takes you a long time to roll the dough.